Jennifer Basile has been involved with Pioneer Valley Ballet for 16 years. She is a past parent, former board member and president, and current volunteer and committee member. 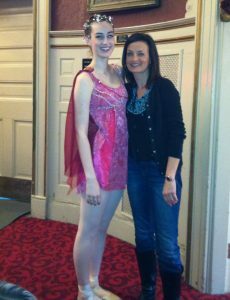 She came to PVB when her daughter, Emma, picked ballet over the other types of dance she was learning. Jennifer found out about PVB from a co-worker and knew its reputation of being the best ballet school in the Valley. Jennifer Basile with her daughter, Emma, at a PVB performance at the Academy of Music. 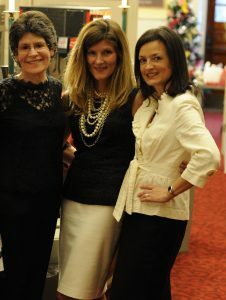 Jennifer, right, with fellow PVB board members Marie Lococo and Karen Pohlman.